It's St. Patrick's Day on the 17th! I'm not really one for celebrating this day but since I've seen a lot of people do makeup looks for it, I thought I might do one too to get into the festivities. As the title above says, it's part of my Spring 2014 makeup series. I was thinking of putting it up separately as just a makeup look but then, thinking how I used all this bright greens, I just settled for adding it on to the series. This look is a kinda dramatic though but as always, you can tone it down. NYX Jumbo Pencil in Milk - Apply Milk all over the lid as a base and to give more vibrance to the colorful shadows, blend out with your finger. Using the a pastel bright green shadow (1), pack all over the lid with a flat shadow brush. Use a darker shade of green (2) on the outer half of the lid, carefully blending it in with the first shadow. To create that defined wing with the next shadow, you may either use a scotch tape and place it on the lower lash line and remove it after placing the shade, or use a makeup wipe or Q-tip with a makeup remover to clean up the edges. Take a brown/green shadow (3), bring it farther out of the corner of your eye and create a wing. Blend the edges of the shadow carefully along the crease with a clean brush. With the tip of the flat shader brush, take shade 3 and connect it to the outer corner of the bottom lash line. 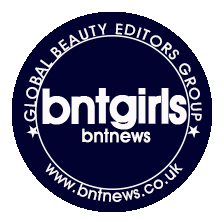 The next shadow is a a blue/green shade (4), apply it next to the middle part of the lower lash line, blending it with shade 3 on the outer corner. NYX Ultra Pearl Mania in Lime Green - With a wet eyeliner brush or angled brush, take the Lime Green pigment and apply it to the inner corner and inner half of the bottom lash line for a bright pop. NYX Slide On Eyeliner in Jet Black - Tightline and apply on the waterline. Graymelin Control Sharp Liner Waterproof in Black - Line the eyes, and wing dramatically. Also make the eyes pointy and bird like by extending the liquid liner on the inner corner of the eye and connecting it to the eyeliner on the waterline. Remember that using this method makes the eyes smaller and squinty looking so if you don't like that look just line the eyes as you normally do. Maybelline Volum' Express Waterproof Colossal Cat Eyes Mascara - Curl the lashes and apply mascara. Red Cherry 747S False Lashes - Apply false lashes for a fierce look. Beautiful eye look!! I love green eye looks and this one looks gorgeous on you! You're right!! This look is so festive and is so perfect for St. Patty's and Mardi Gras!! I'm such an amateur when it comes to eye shadow, thanks for sharing your tips!! 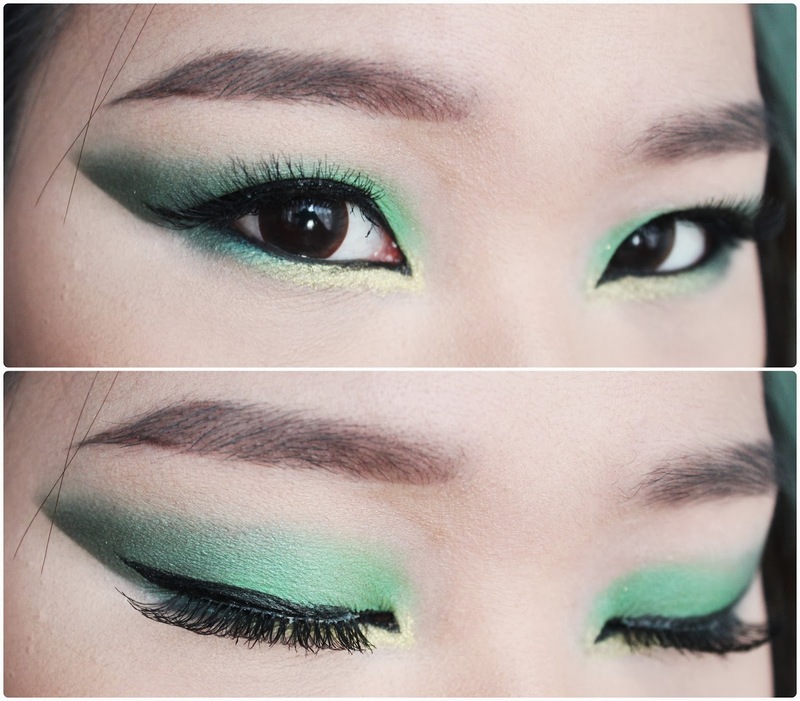 I also don't really celebrate St.Patrick's day but this makeup look is gorgeous! I like really how you emphasized different areas of your eyes using different green colours.